Let’s begin the fact by talking about the measurement of Hoover Dam. It has the height of 726.4 feet. If you count is across the top, it can reach 1,244 feet. The base of Hoover Dam is measured at 600 thick with the top at 45 feet thick. 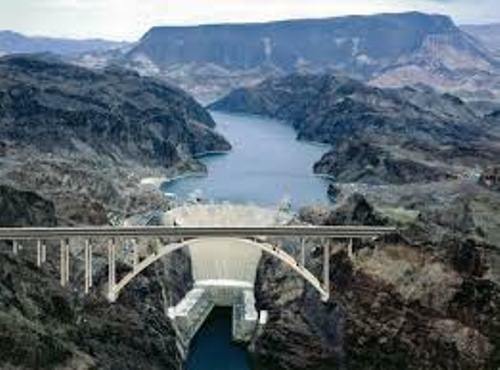 The total storage capacity of Hoover Dam is around 30,500,000 acre feet. It nearly can store the flow of Colorado River for around 2 years. Look at Colorado facts here. Hoover Dam was constructed on 30 September 1930. In 1935, the contractors poured the last concrete on the dam. If you want to know another interesting building in US, look at the facts about Statue Liberty. The cooling tuber was used in the construction process. Thus, the construction process for this dam can develop faster. If the contractors did not use the tube, it will take more than a century to complete the construction of Hoover Dam. In the past it was the highest dam in the world. Now it is considered as the 18th highest dam in the world. 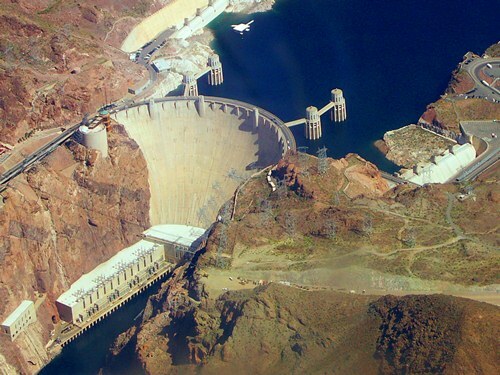 The water stored in the Hoover Dam is around 9.2 trillion gallons. It is gained from the Colorado River and Lake Mead. 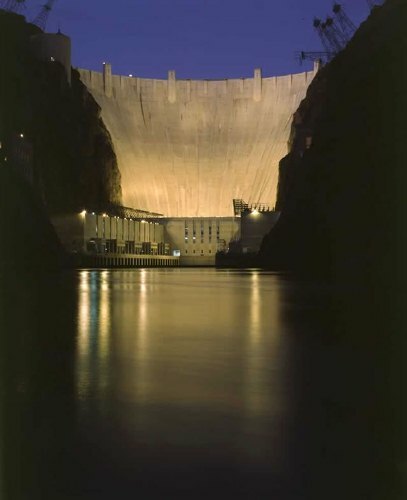 There are 17 generators located in Hoover Dam. It can generate the electricity 2,000 megawatts. The construction of Hoover Dam costs $49,000,000. To finish the construction for the Blunder Canyon project, the government had to spend $165,000,000. The project includes Hoover Dam, Imperial dame and American canal. The concrete used in the construction of Hoover Dam contains 4,360,000 cubic yards. The steel and metalwork used in the dam 96,000,000 LB’s. There were 16,000 women and men worked in the projects. In a specific time, the construction used extra 3,500 people. 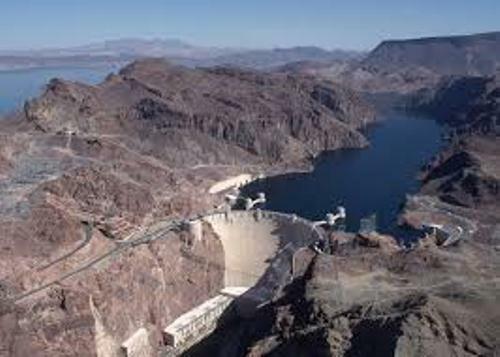 Lake Mead is the reservoir in Hoover Dam. It has the length around 115 miles with the surface area of 146,000 acres. The top elevation of Lake Mead is measured at 1229 Ft. 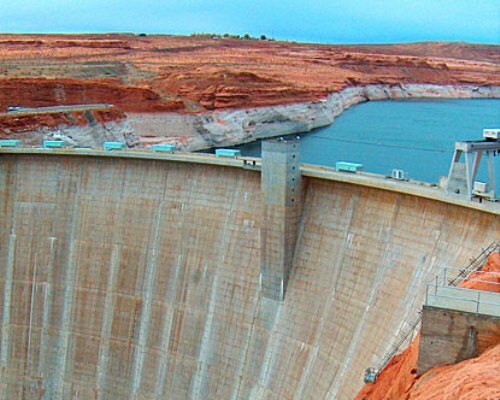 The depth is counted at 590 FT. Do you want add more facts about Hoover Dam here?